I am using one of the new released stamp from January 2017. 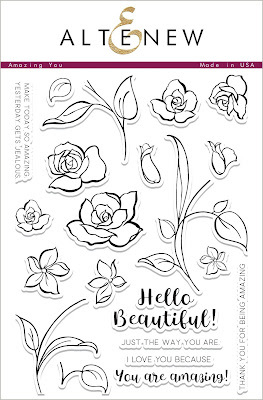 This floral stamp set "Amazing You"has such an artistic hand-drawn flare. No matter how you stamp them, the design will always come out refined and lovely. I stamped the images with Altenew Tropical Forest Inks and colored the images with Altenew Artist Markers (set A).These markers have two tips--brush and bullet . I utilized both sides and find them very easy to use. Noticed the little dots on the leaves and stems? They were added with the bullet tips. Here is my previous card with "Amazing You". The sentiment that comes in this set are lovely! 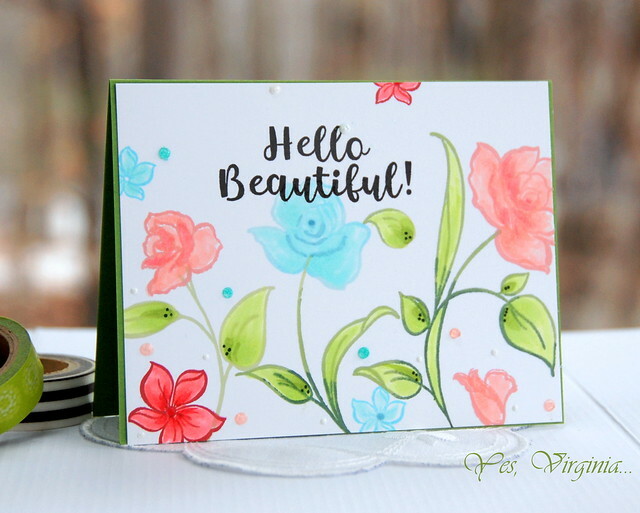 If you are into floral sets, "Amazing You"
is suitable for any stamping level. So pretty and uplifting with the gray skies we have here today! 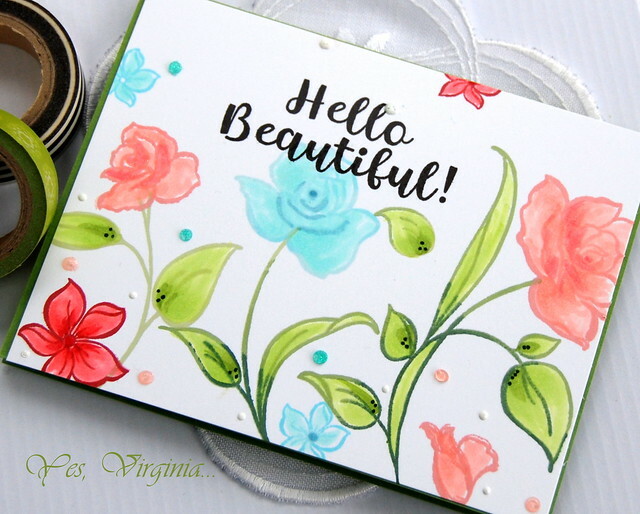 A lovely card for spring, Virginia! I love that you used the new markers! Gorgeous design and colors, Virginia! What a lovely garden you've created, Virginia!! Such a lovely card, Virginia! Your flowers are gorgeous! So pretty! I love that set! 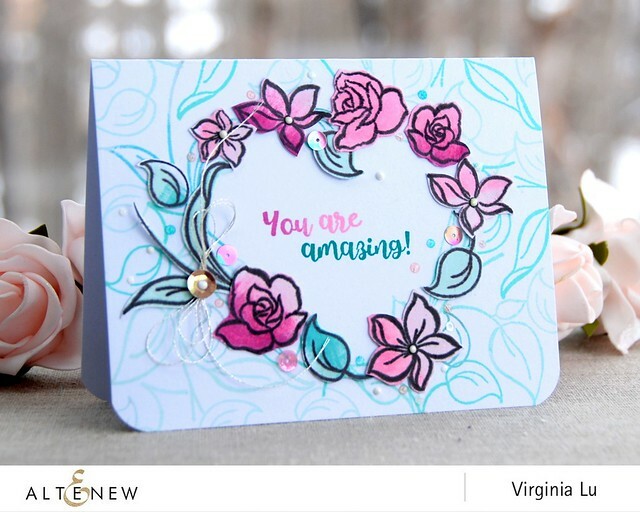 What gorgeous cards Virginia and what a beautiful set!